At the present moment more and more extensively during underwater operations Remotely Operated Vehicles (ROV) are used. All personnel engaged in ROV operations should be sufficiently competent for executing the assigned tasks. Competence must be proved by the corresponding qualification and presence of work experience but mostly a combination of both is required. IMCA (International Marine Contractors Association) developed Guidance on Competence Assurance and Assessment to achieve the aim of safety improvement by establishing the personnel competence assessment criteria. New employees hired for job connected with ROV operation must receive training in accordance with IMCA R 002 Guidance, which sets the requirements for ROV Personnel and contains the introductory course plan. IMCA R 002 is considered as the standard for new personnel in this field. 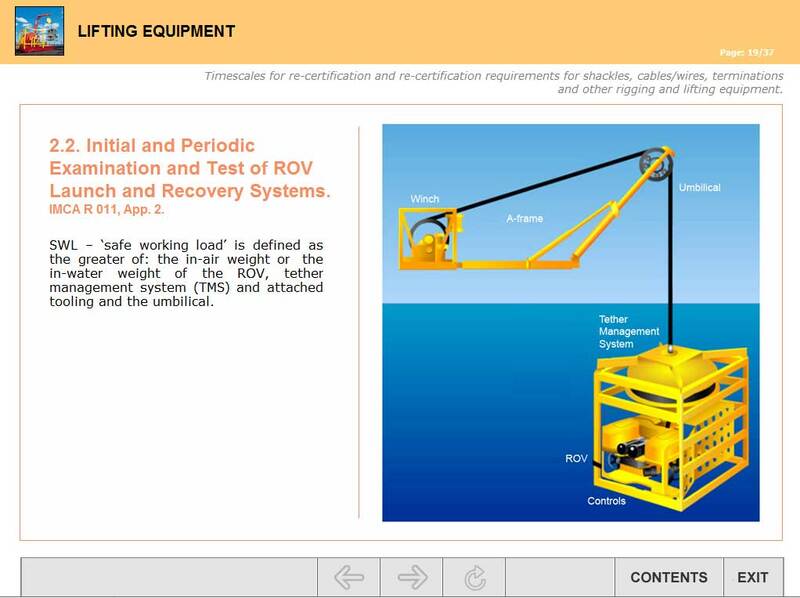 E-learning modules library “Basic Introductory Course for New Remotely Operated Vehicle (ROV) Personnel” is intended for providing theoretical training of new personnel in accordance with IMCA R 002. Module 2. “Overall Safety and Environmental Awareness”. Section 1. “Offshore hazard identification and risk assessment”. Section 2. 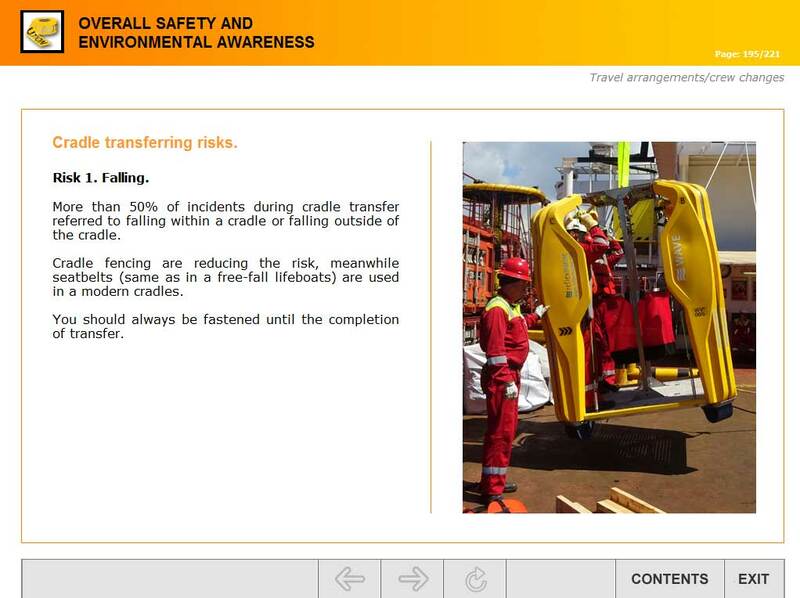 “Safe working practices on offshore installations, facilities and vessels”. Section 3. “Safe Workshop Practice”. Section 4. “Knowledge of company accident reporting arrangements”. Section 5. “Familiarity with appropriate safety legislation/guidance”. Section 6. “Permit to work’ systems”. Section 7. “Personal protective equipment (PPE), upkeep and replacement”. Section 9. “Travel arrangements/crew changes”. Section 11. “Company quality assurance and control (QA/QC) standard”. Module 3. 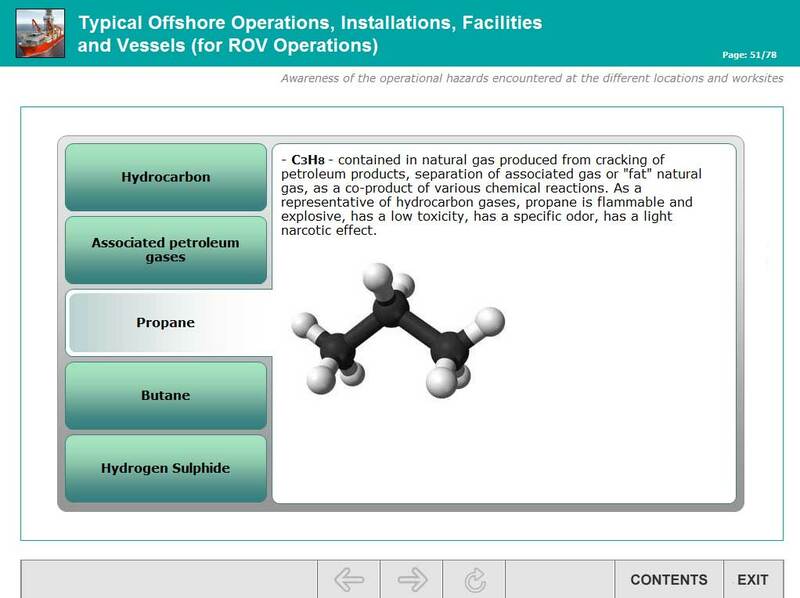 “Typical Offshore Operations, Installations, Facilities and Vessels (for ROV Operations)”. Section 1. Characteristics and appearance of the various types of installation or vessels and the kind of operations, other than ROV operations, conducted from each. Section 2. Hazards on offshore installations. Section 3. Brief overview of respective roles of the various personnel working. Module 4. 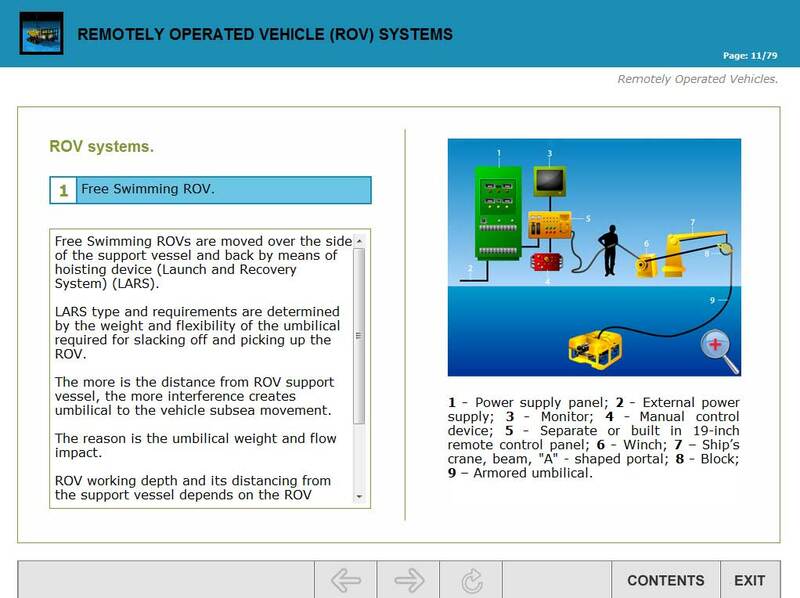 “Remotely Operated Vehicle (ROV) Systems”. Module 5. “Lifting Equipment ”. Module 6. 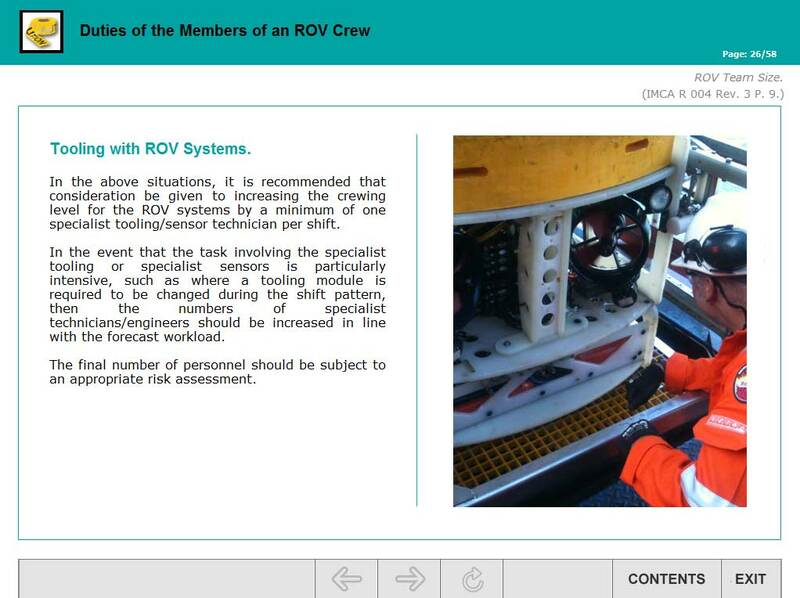 “Duties of the Members of an ROV Crew”.